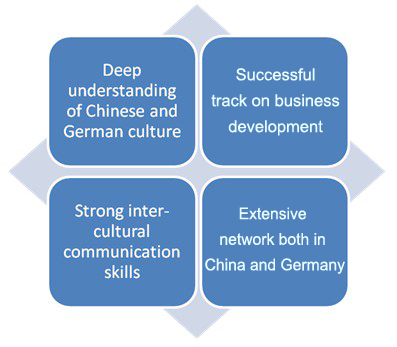 Comparing to the mega-size enterprises, SMEs are more cautious about the foreign investment. Meanwhile, SMEs are more sensitive on return on investment. East Wind understands that a well-prepared market entry is the key to reduce the risk and a quick return on investment. Efficiency means both capital efficiency and time efficiency. East Wind finds the best way for each individual company to establish eco-network abroad. Every hour you spend, every coin you spend, you see it and you hear it. East Wind commits on the long-term relationship with all the customers. We believe only through long-term relationship, we can understand the customer better and serve the customer better. We can help you to organize one customer visit; we can offer you organize one marketing event; however, what fascinates us most is to help our customers through series of activities to enter a foreign market and become one of the most important players in its specific area. Starting from proposing the market entry strategy until closing the contract, East Wind provides all the necessary service you need with a strong focus on business development and establishment of eco-environment for future business in China and Germany.